Chef Curtis Stone (Maude) and brother Luke Stone are teaming up to open Gwen, a restaurant and butcher shop in Hollywood. Gwen, 6600 Sunset Blvd., Los Angeles, CA 90028, no phone. Tempura Endo will open in Beverly Hills in January 2016. Tempura Endo, 9777 Santa Monica Blvd., Beverly Hills, CA 90210, 310-274-2201. Shake Shack will open a location in Glendale in 2016. The exact address hasn't been set, but it will be across the Americana at Brand, next to the former Masonic Temple. A West Hollywood location of Shake Shack is also in the works. Shake Shack, Brand Blvd., Glendale, CA 91210, no phone. Recess Eatery’s second location will open in Highland Park in January 2016. Husband/wife team Sevan Abdessian and Tamar Kevonian are expanding on their Glendale concept, with a 5,000-square-foot cafeteria-inspired restaurant designed by Spacecraft Design Group with a library theme and expansive outdoor backyard patio. Menu items feature the likes of eggs Benedict and spinach omelets for breakfast, and kale Caesar salad, seared ahi, filet mignon and pan-roasted chicken for lunch and dinner. There will be a wine program and a full bar. Recess Eatery, 5022 York Blvd., Highland Park, CA 90042, no phone. Chef David Schlosser (Urasawa, Ginza Sushiko) will open Shibumi, a high-end Japanese restaurant in downtown L.A. on Hill Street, focusing on kappo and kaiseki cuisine. The kappo menu will be served at a 400-year-old cypress counter, and a separate back room will host a 10-course kaiseki tasting menu experience. 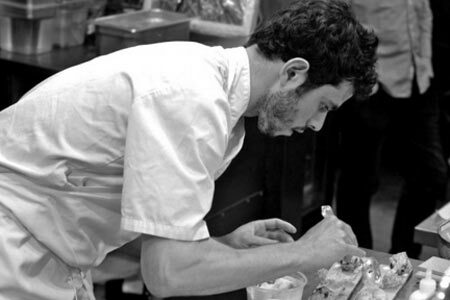 Jacob Kear (Noma) will join Schlosser as chef de cuisine. The menu will feature heritage pork and beef, seafood, tofu and rice, and fermented vegetables. A cocktail program is also in the works. Shibumi, 815 S. Hill St., Los Angeles, CA 90014, no phone. Chef/owner Paul Yi has opened Ozu Kitchen East in Atwater Village in the former Atwater Village Farm space. 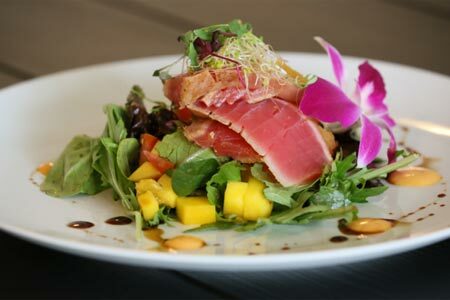 The self-styled “community restaurant” includes a refined modern Asian menu with Japanese and Korean influences. Dishes feature avocado toast with yuzu guacamole and smoked gochujang, pork ramen with kurobuta pork belly, miso ramen with spinach noodles, and kimchi udon with cream, rock shrimp and watercress. To drink find craft beers, a compelling boutique wine list that spans France, California, New Zealand and Hungary, sake, and Stumptown coffee. The outdoor patio make a nice spot to linger. Dinner Tues.-Sun. 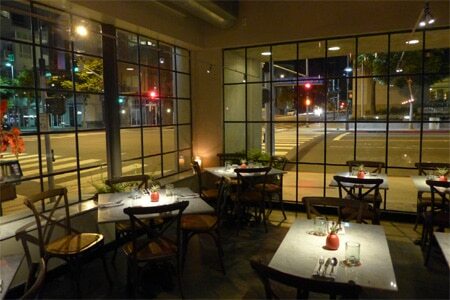 Ozu Kitchen East, 3224 Glendale Blvd., Los Angeles, CA 90039, 323-284-8773. Chef/owner Stephen Kalt (Caulfield’s) has opened Spartina on Melrose Avenue. The restaurant features an open kitchen and large, sprawling patio. A Cal-Italian seasonal menu includes specialties like wood-grilled duck heart spiedini, scrambled egg and sea urchin panini, lamb sausage and pistachio pizza, Pacific white bass, and Sonoma duck breast with parsnip. Spartina, 7505 Melrose Ave., Los Angeles, CA 90046, 323-782-1023. Avec Nous, a French bistro, is taking over the space of LIVELLO at L'Ermitage Beverly Hills. The restaurant will be helmed by chef Olivier Quignon (former executive chef of Bar Boulud in New York). Look for a March 2016 opening. 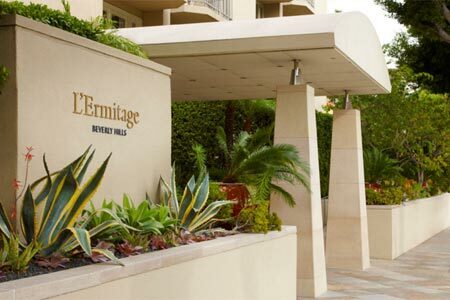 Avec Nous, L'Ermitage Beverly Hills, 9291 Burton Way, Beverly Hills, CA 90210, no phone. 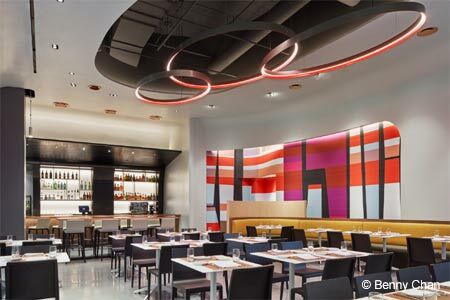 The Village at Westfield Topanga features a number of dining options, ranging from quick eats like The Slaw Dogs and Eatsa to full-service restaurants such as JOEY Woodland Hills. The Village at Westfield Topanga, 6600 Topanga Canyon Blvd., Ste. 9080, Woodland Hills, CA 91367, 818-594-8732. Smitten Ice Cream has opened at The Point in El Segundo, joining Superba Food + Bread, True Food Kitchen, North Italia, Hopdoddy Burger Bar and ShopHouse Southeast Asian Kitchen. Smitten Ice Cream, The Point, 850 S. Sepulveda Blvd., El Segundo, CA 90245, 424-220-7100. Actress Jessica Biel is part of the team behind Au Fudge Los Angeles, a kid-friendly restaurant scheduled to open in West Hollywood on March 4, 2016. Au Fudge Los Angeles, 9010 Melrose Ave., West Hollywood, CA 90069, 424-288-4268. Salt’s Cure has relocated to Highland Avenue in Hollywood, taking over the former Ammo space. Salt's Cure, 1155 Highland Ave., Los Angeles, CA 90038, 323-465-7258. Cedd Moses (Seven Grand, Cole’s) and Brian Lenzo (Blue Palms Brewhouse) have opened Arts District Brewing Company, located on Traction Avenue. Beer-maker Devon Randall is on board creating distinctive brews for the bar/restaurant, which also features Skee-Ball and other games. Arts District Brewing Company, 830 Traction Ave., Los Angeles, CA 90013, no phone. Fans of breakfast and Long Beach barbecue spot Bigmista’s can now rejoice at chef/owner Neil Strawder’s new place, Bigmista’s Morning Wood. The menu highlights smoked meats in dishes like "pig candy pancakes" -- bacon cooked into a pancake, topped with sprinkled smoked bacon, maple syrup and cayenne pepper. There’s also a breakfast bowl with eggs, cheesy grits and bacon, and a breakfast plate. Lunch features barbecue plates and Bigmista’s sammiches. Get there early for the specialty “countdown burger” --- they only make 30 per day. Breakfast & Lunch daily. Bigmista’s Morning Wood, 4331 E Carson St., Long Beach, CA 90808, 562-452-7300. Find gourmet tacos aplenty at Westwood’s artsy new Tacos Tu Madre. Order from the walk-up window from a menu that features high-end bites like fois gras, uni and mole duck tacos, but purists will also find pastor, asada and carnitas versions, as well as birria tacos. There’s a tasting menu, too. Red velvet churros hit the sweet spot. Breakfast, Lunch & Dinner daily. Tacos Tu Madre, 1945 1/2 Westwood Blvd., Los Angeles, CA 90025, 310-654-0664. The Cannibal Beer & Butcher will open in Platform, a new retail and dining destination in Culver City. 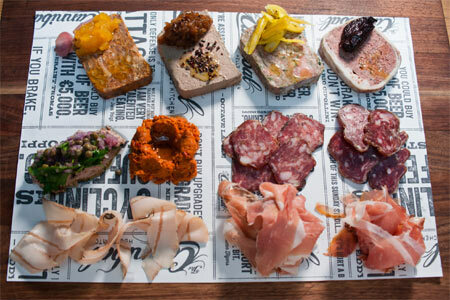 This New York import focuses on meats (house-made charcuterie, etc.) and brews. The Cannibal Beer & Butcher, Platform, 8850 Washington Ave., Culver City, CA 90232, no phone. Celestino Drago (DRAGO Centro) and his brothers/fellow restaurateurs will open DRAGO RISTORANTE at the freshly redesigned Petersen Automotive Museum in Los Angeles. Look for a Spring 2016 opening. DRAGO RISTORANTE, Petersen Automotive Museum, 6060 Wilshire Blvd., Los Angeles, CA 90036, no phone. Jinya Ramen Express has brought some of L.A.’s most popular ramen to the top of Hollywood & Highland with a customizable menu or classic specials like Jinya tonkotsu black with pork broth, or a grilled chicken rice bowl. Options feature original thin noodles or spinach noodles, and add-ons include a soft-boiled marinated egg. There’s green tea or kombucha to drink, and panna cotta for dessert. Lunch & Dinner daily. Jinya Ramen Express, Hollywood & Highland, 6801 Hollywood Blvd. #317, Los Angeles, CA 90028, 323-391-1916. Chef Phillip Frankland Lee, who’s already found San Fernando Valley success with The Gadarene Swine, has opened Scratch Bar & Kitchen in Encino. This reincarnation of his tasting bar concept, which he runs with pastry chef/wife Margarita, is on the second floor of Encino Place. Chef Lee is appearing on “Top Chef: California.” He previously won on “Chopped,” “Cutthroat Kitchen” and “Guy’s Grocery Games.” Scratch Bar, Encino Place, 16101 Ventura Blvd., Encino, CA 91436, 818-646-6085. Superba Food + Bread has opened at The Point, a new shopping, dining and entertainment destination in El Segundo. The restaurant joins True Food Kitchen, North Italia, Hopdoddy Burger Bar and ShopHouse Southeast Asian Kitchen. Superba Food + Bread, The Point, 830 S. Sepulveda Blvd., Ste. 100, El Segundo, CA 90245, 310-906-4598. 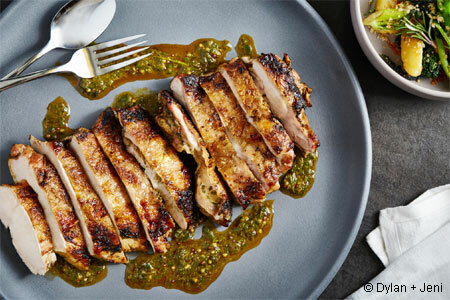 Charcoal Venice is a neighborhood restaurant with fire pit-grilled cuisine from acclaimed chef Josiah Citrin (Mélisse). Dishes include dry-aged New York steak, grilled chicken and smoked short ribs. House-made vinegars, mustards and sauces accompany the meats; vegetables include baked Yukon potatoes with chives and Gouda. Charcoal Venice, 425 Washington Blvd., Venice, CA 90292, 310-751-6794. Tar & Roses has been closed for construction repairs after a fire in the hood of the wood-burning oven. The re-opening date is set for January 8, 2016. Tar & Roses, 602 Santa Monica Blvd., Santa Monica, CA 90401, 310-587-0700. Chef Ari Taymor, one of GAYOT's 2014 Top 5 Rising Chefs in the United States, presents Alma at The Standard through May 2016. This pop-up at The Standard Hollywood features an à la carte menu of dishes such as frozen duck liver with smoked maple, coffee granola and carrots. 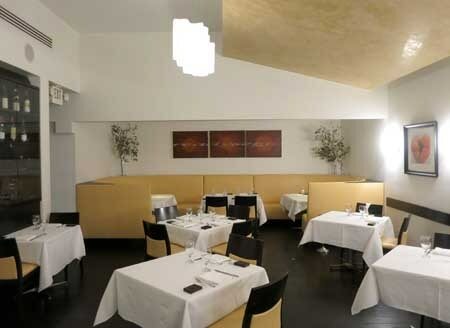 Alma at The Standard, 8300 W. Sunset Blvd., West Hollywood, CA 90069, 323-650-9090. Jonathan Kim has been named executive chef at Cavatina. He's incorporating flavors from his Korean-American background in dishes like pork belly risotto with kimchi, egg, crispy shallots and sweet chile. Cavatina, Sunset Marquis, 1200 N. Alta Loma Rd., West Hollywood, CA 90069, 310-358-3759. The Churchill alum Michael Bryant has taken over from Kevin Kathman as executive chef at The Larchmont. The Larchmont, 5750 Melrose Ave., Los Angeles, CA 90038, 323-464-4277. Tipple & Brine announced via Facebook that it will shutter temporarily and re-open on February 3, 2016. Tipple & Brine, 14633 Ventura Blvd., Sherman Oaks, CA 91403, 818-528-2550. Chef-owner Salvatore Marino closed his Italian restaurant Il Grano in December 2015. Il Grano, 11359 Santa Monica Blvd., Los Angeles, CA 90025, no phone. In Sherman Oaks, the Texas-style bbq spot Smoke City Market has closed. Smoke City Market, 5242 Van Nuys Blvd., Sherman Oaks, CA 91401, 818-855-1280. After a run of 67 years, West Hollywood fixture Dominick’s has closed. Warner Ebbink and Brandon Boudet’s other concept, Little Dom’s in Los Feliz, remains open. Rumor has it that a restaurant named Verlaine will occupy the Domincick's restaurant space in 2016. Dominick's, 8715 Beverly Blvd., West Hollywood, CA 90048, no phone. Herringbone at the Mondrian Los Angeles will be replaced by Ivory, a new dining concept with a menu designed by chef Brian Malarkey. The restaurant will open on December 31, 2015. Herringbone, Mondrian Los Angeles, 8440 Sunset Blvd., West Hollywood, CA 90069, 323-848-6000. Susina Bakery & Cafe has closed. Susina Bakery & Cafe, 7122 Beverly Blvd., Los Angeles, CA 90036, no phone. Josiah Citrin and Raphael Lunetta’s casual Westside spot Lemon Moon has shuttered. Lemon Moon, Westside Media Center, 12200 W. Olympic Blvd., Los Angeles, CA 90064, no phone. Los Feliz will mourn the loss of Bez Compani’s beloved Mother Dough, which will close January 3, 2016, according to the restaurant's Facebook page. Mother Dough, 4648 Hollywood Blvd., Los Angeles, CA 90027, 323-644-2885. P.F. Chang's China Bistro will close its doors in January 2016. There's no news yet on what may replace it. P.F. Chang's China Bistro, Beverly Center, 121 N. La Cienega Blvd., West Hollywood, CA 90048, 310-854-6467.